Italeaf announces that TerniEnergia, smart energy company active in the fields of renewable energy, energy efficiency, waste and energy management, listed on the Star segment of the Italian Stock Exchange and part of Italeaf Group, announces that it has completed the acquisition of 100% of the shares representing the share capital of the company Greenled Industry SpA, for the countervalue, as consideration, of n. 2,078,195 shares, corresponding to 4.71% of the TerniEnergia’s share capital, equal to a value of Euro 3.5 million. Following the transactions, TerniEnergia holds as at 31 December 2015 n. 4,012,998 treasury shares, representing 9.10% of the ordinary share capital. ”This transaction is a good case of ”Open innovation”, the paradigm that assumes that firms can and should use external ideas as well as internal ideas, and internal and external paths to market, as the firms look to advance their technology. Exactly what should succeed in Italy for the development of the startups market. This trabsaction is equal to 3.5 million euro, generating an IRR of over the 40%, in line with our growth plan. And with a return of full satisfaction for third-party investors”. For more information, please see the press releases issued to the market on November 27, 2015 and on 28 December 2015 as well as the Information Document related to investment for the acquisition of Greenled Industry on the website www.ternienergia.com under the Investor Relations section. TerniEnergia, a company incorporated in September of 2005 and part of Italeaf Group, is the first Italian smart energy company and operates in renewable energy, energy efficiency, energy and waste management. TerniEnergia operates as system integrator, with a turn-key offer of industrial sized photovoltaic plants, on behalf of third parties and on its own, for the Power Generation business, also through joint venture companies with leading national players. TerniEnergia operates in the waste management sector, recovery of the material and energy, development and production of technologies. In particular, the Company is active in the recovery of tires out of use, in the treatment of biodegradable waste through the implementation of biodigesters, management of plant for the biological depuration; development and production of technological apparatus. Through TerniEnergia Gas & Power, the Group is active in the energy management, energy sales to energy intensive customers, software and services for energy management, administrative, financial and credit management. The Group is also active on the natural gas and liquefied natural gas (LNG) market, offering a range of services and activities in order to develop Client’s business and achieve a competitive advantage providing the best market conditions and creating a high added value. TerniEnergia operates in the development of energy efficient plants both through EPC scheme and FTT scheme (Financing Through Third Parties), pursuing the objectives of increasing energy production from renewable sources, of energy saving and reduction of emissions as set forth by environmental European policy. Italeaf announces that the ordinary Shareholders’ meeting of TerniEnergia, smart energy company active in the fields of renewable energy, energy efficiency, waste and energy management, listed on the Star segment of the Italian Stock Exchange and part of Italeaf Group, met today under the chairmanship of Stefano Neri, approved the investment transaction concerning the purchase of a stake to 100% of the shares representing the share capital of the company Greenled Industry SpA on the sale, as consideration, up to a maximum of n. 2,078,195 shares, equal to 4.71% of the share capital. Greenled Industry is a company that operates in the production and sale of LED lamps, particularly high performance for their efficiency in terms of energy saving and high-tech. For TerniEnergia, the acquisition has a function of supply chain optimization for the “Energy Saving”business unit, active in the implementation of energy efficiency projects, under which the supply of LED lamps is the main cost. This transaction is consistent with the objectives of TerniEnergia and in line with industrial growth of the “Energy Saving” activity planned in the Business Plan presented to the financial community on October 30, 2015. In addition, in the same plan, the Company expressly identified in the acquisition of innovative technologies in the field of energy efficiency, one of the priorities for growth. The transaction, widely described in the press release issued to the market on November 27, 2015, following the relevant resolution of the Board of Directors, is configured as a “related party transaction”, since the operation carried out with its parent Italeaf SpA which, it is recalled, it holds an interest representing 46.78% of the share capital of TerniEnergia and exerts control over it pursuant to Article 2359, first paragraph, no. 2 of the Civil Code and Article 93 of the TUF. Therefore, Italeaf is a related party to the Company pursuant to article 3, first paragraph, point (a) and the definition of related parties contained in Annex 1, paragraph 1, letter (a) (i) of the Consob Regulation no. 17221/2010. Therefore, on 4 December 2015, it was published pursuant to the law an “Information Document”. For more information see press release issued to the market on November 27, 2015 as well as the Information Document related to investment for the acquisition of Greenled Industry on the website www.ternienergia.com under the Investor Relations section. TerniEnergia, a company incorporated in September of 2005 and part of Italeaf Group, is the first Italian smart energy company and operates in renewable energy, energy efficiency, energy and waste management. TerniEnergia operates as system integrator, with a turn-key offer of industrial sized photovoltaic plants, on behalf of third parties and on its own, for the Power Generation business, also through joint venture companies with leading national players. TerniEnergia operates in the waste management sector, recovery of the material and energy, development and production of technologies. In particular, the Company is active in the recovery of tires out of use, in the treatment of biodegradable waste through the implementation of biodigesters, management of plant for the biological depuration; decommissioning of industrial plants, recovery of demolition metals and cleaning of industrial sites; development and production of technological apparatus. Through TerniEnergia Gas & Power, the Group is active in the energy management, energy sales to energy intensive customers, software and services for energy management, administrative, financial and credit management. The Group is also active on the natural gas and liquefied natural gas (LNG) market, offering a range of services and activities in order to develop Client’s business and achieve a competitive advantage providing the best market conditions and creating a high added value. TerniEnergia operates in the development of energy efficient plants both through EPC scheme and FTT scheme (Financing Through Third Parties), pursuing the objectives of increasing energy production from renewable sources, of energy saving and reduction of emissions as set forth by environmental European policy. The shares of Greenled Industry will be sold to TerniEnergia upon receipt of TerniEnergia’s teasury stocks resulting from the divestment by Free Energia S.p.A.
TerniEnergia, smart energy company active in the fields of renewable energy, energy efficiency, waste and energy management, listed on the Star segment of the Italian Stock Exchange and part of Italeaf Group, obtained the favorable opinions from the Committee for Transactions with Related Parties, approved the acquisition by TerniEnergia of an amount up to 100% of the share capital of Greenled Industry SpA, a company active in the production and sale of lamps with LED technology . In particular, on November 27, 2015 the Board of Directors of Italeaf SpA, controlling shareholder of Greenled, resolved to propose to the purchase of shares of TerniEnergia Greenled (l ‘”Transaction”) at market value, as evidenced by an independent expert appointed for that purpose. The purchase price for 100% of the share capital of Greenled agreed was Euro 3.5 million, as indicated in the evaluation of the independent expert, in the person of Dr. Luigi Tardella from Ambers & CO Srl, acquired by TerniEnergia. In consideration of the purchase of shares of Greenled, TerniEnergia correspond treasury assets resulting from the divestment of Free Energy: to respect the valuation of the expert identifies the value in Euros 1.68 for each appropriate action of TerniEnergia. It follows that the purchase of 100% of the shares of Greenled result in the sale of a maximum number of n. TerniEnergia 2,078,195 own shares, representing 4.71% of the share capital of TerniEnergia. The Board of Directors of TerniEnergia, received the proposal from Italeaf, has positively assessed the operation, acting to submit the approval to the shareholders’ meeting convened for December 28, 2015. Therefore, only the outcome of the relevant resolution will be possible communicate the correct number of shares Greenled to be acquired and the number of shares used as consideration for such purchase. Greenled is a company that operates in the production and sale of LED lamps, particularly high performance for their efficiency in terms of energy saving and high-tech. TerniEnergia for the acquisition has a function of supply chain optimization for the business unit called “Energy Saving”, active in the implementation of energy efficiency projects, under which the supply of LED lamps is the main cost. This transaction is consistent with the objectives of TerniEnergia and in line with industry growth of ” Energy Saving ‘planned in the Business Plan presented to the financial community on October 30, 2015. In addition, in the same plan, the Company expressly it identified in the acquisition of innovative technologies in the field of energy efficiency, one of the priorities for growth. For Italeaf, however, the operation is the first opportunity to close the exit of one of Startups held by the company in advance of the plans provided for in the three-year program of strategic growth presented to the financial community and the MTF Nasdaq First North Stockholm, where the Company is listed. The transaction is then put in place for the sole purpose of increasing the corporate values of the respective companies involved and improve the operation, in accordance with the corporate interest. The acquisition of Greeenled by TerniEnergia is configured as a “related party transaction”, since the operation carried out with its parent Italeaf SpA which, it is recalled, it holds an interest representing 46.78% of the share capital of TerniEnergia and exerts control over it pursuant to Article 2359, first paragraph, no. 2 of the Civil Code and Article 93 of the TUF. Therefore, Italeaf is a related party to the Company pursuant to article 3, first paragraph, point (a) and the definition of related parties contained in Annex 1, paragraph 1, letter (a) (i) of the Consob Regulation no. 17221/2010. ALLEGRETTI PAOLO 5.000 0,23% CFO of TerniEnergia S.p.A.
FEDERICI MONICA 5.000 0,23% Managing Director of TerniEnergia S.p.A. and CEO of Italeaf S.p.A.
ITALEAF S.P.A. 1.393.387 64,60% Parent company of TerniEnergia S.p.A. and Greenled Industry S.p.A.
ROMITO NICOLA 180.000 8,34% CEO of Italeaf S.p.A.
As shown in the table above, therefore, the shares of Greenled are held, for the 82.03%, by persons who are qualified as related parties of TerniEnergia. The transaction was then approved by the Board of TerniEnergia after gaining the approval of the Committee for Transactions with Related Parties, in accordance with Consob Regulation no. 17221/2010 and procedure adopted by the Company. Moreover, the operation is configured as a “transaction with related parties of greater importance”, since they are exceeded the relevance indexes provided under Article. 4, paragraph 1, lett. a) of the aforementioned Consob regulation. Consequently, TerniEnerga has prepared an “Information Document, in accordance with the instructions provided for in the applicable legislation and pursuant to the Procedure for Transactions with Related Parties, approved by the Board of Directors of TerniEnergia on November 30, 2010. This document will be made available to the public under the terms and procedures provided by the relevant regulations. Approved the partial and non- proportional demerger of the real estate. The new Company Italeaf RE( 100% owned by Italeaf) will acquire two industrial buildings. 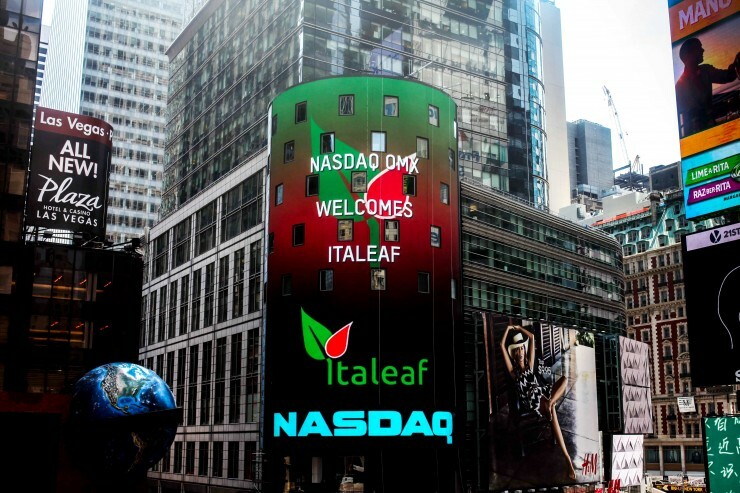 Italeaf, financial holding Company and first italian Company Builder, active in cleantech and smart innovation, listed on NASDAQ OMX First North, communicates that met the Shareholders’Meeting of Greenled Industry S.p.A.at the presence of the President Mr. Stefano Neri. The Shareholders’ Meeting approved the partial and non –proportional demerger of the Company Greenled Industry in favour of a new beneficiary Company named ITALEAF RE S.r.l. The operation aims to make a more streamlined Greenled Company free from not used assets which were supposed to be used for the performance of its activity, also in view of a possible value realization of the Company (in line with the provisions of the business plan of the mother Company Italeaf ). Greenled Industry SpA, a company active in the production of smart LED lamps for energy efficiency, part of the Italeaf group, announces that it has acquired the “know how” technology of a new range of products that will help to complete the Company’s catalog and to start an intense industrial and commercial growth even abroad. In particular, Greenled Industry has acquired executive projects, basic specifications, certifications, technical drawings, operating and manufacturing control procedures, technical and commercial datasheet and any other information necessary for the production of two new lines of LED lamps named “Sparta” and “Building Block”, as well as the know-how and all the technical information and everything else needed to evaluation and validation technology, for the EC, assembly, application and management of purchasing activities, sales and distribution and commercial exploitation of the LED lamps commercial called “iPanel”, “Mercury”, “Saturn” and “Stradale”. “With this acquisition and the strengthening of Company’s equity, Greenled Industry will significantly increase its commercial proposal addressed to the field of energy efficiency lighting in Italy and abroad. The new range of products conferred, in fact, completes the offer to a wide range of customers as energy-consumer industrial operators, private and public administrations and allows us to respond to the growing need for efficiency and energy saving. Thanks to the operation, finally, Greenled Industry will strengthen its production capacity through the activation of a new industrial line that will be implemented in Piemonte region, West-North of Italy”. The acquisition was approved by the Board of Directors, in partial execution of the resolution of the Extraordinary Meeting of July 17, 2013, through a capital increase of approximately Euro 0.4 million in kind reserved to the companies proprietary of the know-how conferred, respectively Madco SRLs and Lombarda Cellophan Sas. Following the transaction, the new share capital of Greenled Industry SpA is Euro 3,763,636.00 fully paid. At the closing of the capital increase, the shareholders of the Company are as follows: Italeaf SpA 79.71%, 20.29% other shareholders. Greenled Industry SpA, established in 2012 and part of the Italeaf Group, is active in the development and production of LED lamps with highly innovative and smart characteristics. The product is certified to operate in a particular thermal stress just in industrial environments (eg. foundry of steel areas, glass, cementery, etc.) or for urban and suburban areas particularly exposed to the natural elements. 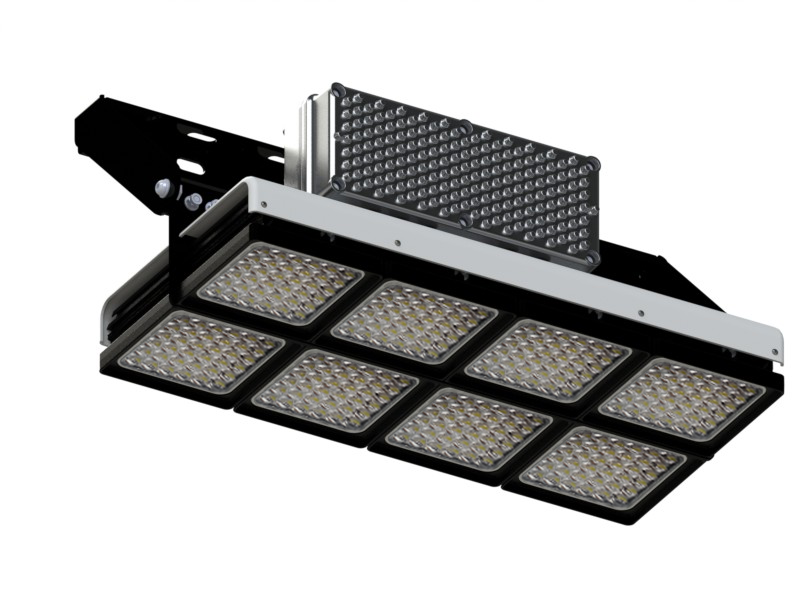 The LED lamps are destined to a large customer, represented by industrial operators, private and public administration, solving the best lighting needs in conditions of maximum energy savings, while maintaining the required luminance.